« On the Origin of Science Writers. [Arthropods, vertebrates, and annelids] are not closely related to one another. So, where does their segmentation come from? Is it possible that they all inherited this feature from a very distant common ancestor that lived 600 million years ago, before the Cambrian explosion, which produced most of the large animal groups that exist today? Or has segmentation occurred several times during the history of evolution? This is the question addressed by the researchers of CNRS and Université Paris Diderot at the Institut Jacques Monod, because segments seem to offer a significant advantage to the groups that have them, in terms of diversity, longevity and overall evolutionary success. The researchers found that the genes controlling segment formation during embryo development are almost the same in drosophila (an arthropod) and in annelid marine worms, on which they concentrated their studies. These similarities led them to conclude that the genes had been inherited from a common ancestor, which was itself segmented. It also appears that vertebrates inherited this characteristic from an ancestor they share with the arthopods and the annelids. This is what the researchers are now seeking to confirm. Arthropods are segmented and very diverse. Nothing newsworthy there. But wait, what’s that? The second largest phylum is molluscs, which aren’t segmented? And what else? Nematodes, which are undoubtedly hyperdiverse, aren’t segmented either? Early-branching animals like sponges, cnidarians, and ctenophores aren’t segmented either, you say? Only three phyla are segmented, two of which (Chordata and Annelida) are not as large as Mollusca and Nematoda? Hmmm. Let’s think about this for a minute. Yes, it seems “unlikely” that the same genes would be co-opted three times for similar functions. 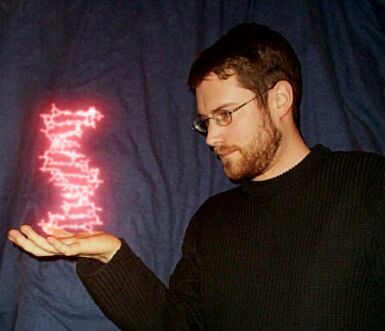 But the hypothesis that the ancestor was segmented requires another major assumption. Here is a very basic phylogeny from an introductory textbook. 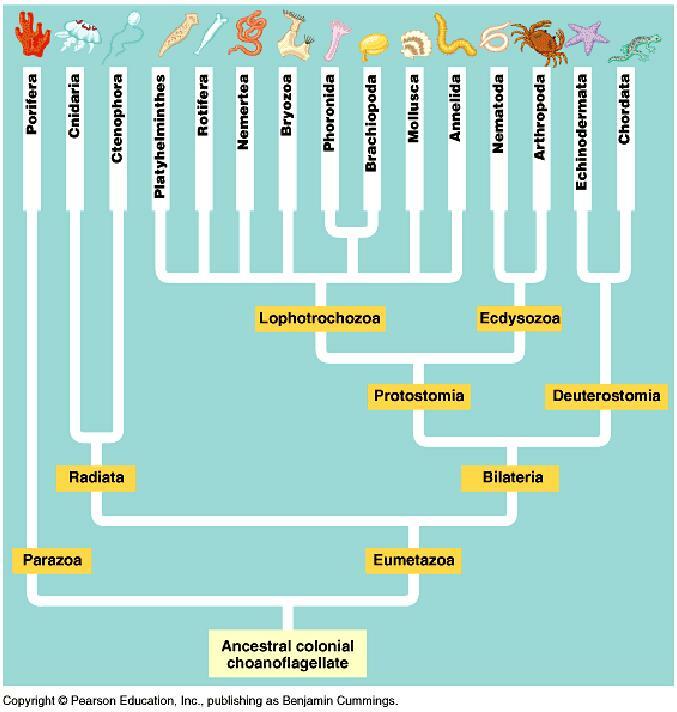 For the ancestor of chordates, annelids, and arthropods to have been segmented, this means that segmentation must have been lost in molluscs, nematodes, echinoderms, brachiopods, rotifers, flatworms, and various smaller phyla. 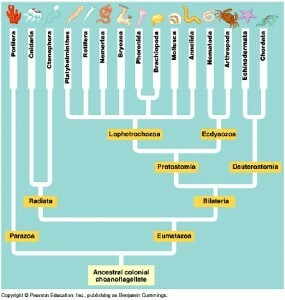 Moreover, several of these phyla that lost segmentation subsequently became more diverse than chordates and annelids. Another example of misunderstanding phylogenetics. 7 comments to Overselling segmentation. Shouldn’t this have been caught by the peer-review process? Peer review is far from perfect. I suppose, but it seems like anyone should have caught the flagrant dismissal of an alternative hypothesis with minimal discussion. But yeah, it’s not perfect. 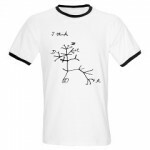 Lots of phylogenetic misconceptions appear in Science and Nature. The issue is that an evolutionary biologist probably didn’t review this, rather it was assessed by a geneticist/molecular biologist or someone who *thinks* they understand evolution. It’s a horrible story even for the sake of press release. It’s like the same theory about brain size, when we all know it is NOT a valid standard for intelligence. Well, those scientists are human, too. They seek attention once in a while.